I recently went to the Hollywood Bowl to watch The Little Mermaid Live - a wonderful event where the movie played with a live Orchestra and artists singing all of the songs. 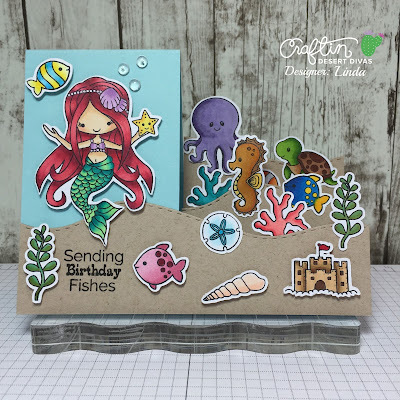 So, I was inspired to make a card with a Little Mermaid theme! I stamped a bunch of images from multiple stamp sets and colored them with Copic Markers. 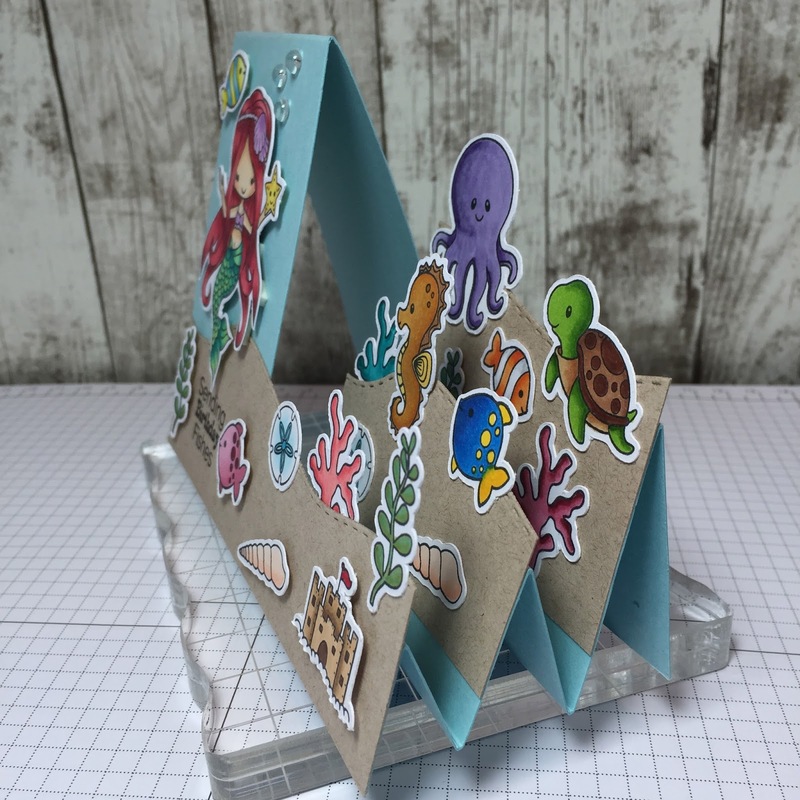 I die cut everything with my Brother Scan N Cut 2. Then I cut/scored an A2 sized piece of card stock to make a side step card base and had a ball adding all of the elements.